You’ve probably heard people who eat a Mediterranean diet live longer and have healthier hearts, which is great, since harvesting young body parts and blood transfusions aren’t options for most people. 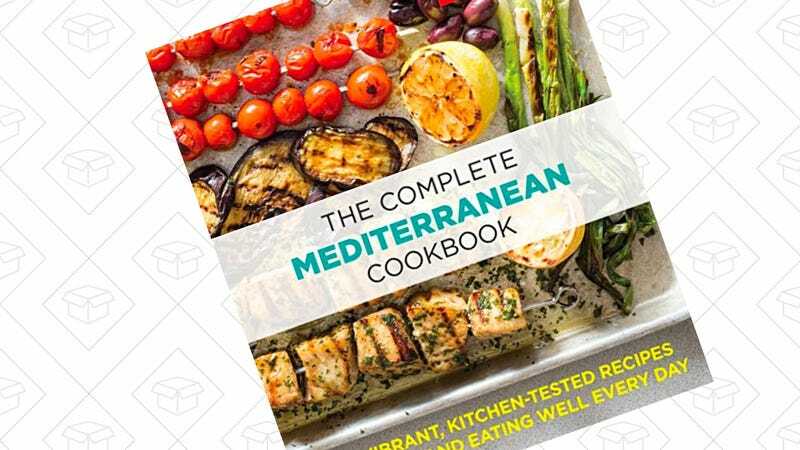 This recipe book is made by America’s Test Kitchen, a group of chefs who evaluate each recipe, tweak, and include written explanation of why they’ve determined certain steps or ingredients are best. The Kindle version of this book is just $5 on Amazon today. Buy this today, and you can thank us on your 130th birthday.